8 Things Life As A Writer Teaches You Das Schreiben von BAUCHTENSCHEIDUNG # 1: Warum diese Story? Bang2writers ask me quite frequently for my “top tips” on surviving the writing process and this industry. Before now I always felt that it depends on the person, what they’re doing, how they work and who with. But actually, having worked on a variety of projects now with various people over the last ten years, I think there are 6 things all writers of ALL formats need to know and live by, whether they’re screenwriters, novelists, playwrights, journalists, transmedia writers, the works. That’s right – just 6. But they mean SO much – literally everything. Clarity. I can’t stress this enough. Whether it’s your concept or your draft, it needs to be clear. Without clarity, we slip into one C we DON’T want, which is “convoluted”. Yes, yes some plots *are* convoluted – I’m looking at you, Pixar – but the concepts rarely are. And it’s concept that sells. So in order to sell, you need clarity. It is not an add-on. It is a NECESSITY. 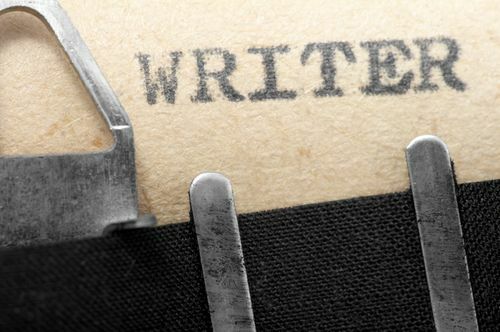 6 Tips for Writing A One Page Pitch. Conflict. Remember that notion, “Why this story?” We want to know what’s at STAKE. If we don’t know what’s at stake, we don’t care. It’s as simple as that. And don’t forget, we don’t want simple rehashing of what’s gone before, either. We want conflict that GRABS us and makes us say, “Why didn’t *I* think of that? ?” Remember: the best ideas are *obvious* – that doesn’t mean it’s not plain sailing getting those great ideas; it shouldn’t be. Road test your concepts and your drafts will flow … Don’t road test them and you may end up with a Zeitgeist story that’s a millstone round your neck. Characters. Loads of people say it’s “all about character” but that’s nonsense, ‘cos it’s part of the process like the first two. But equally, it shouldn’t be “all about plot” either – cos, you guessed it, that’s just part of the process too. I read a great quote somewhere years ago that said essentially, “It’s not 50/50 Plot/Character … it’s like 100/100 Plot/Character.” I love this, because audiences want a GREAT character *in* a GREAT story. So think very carefully about your characters; don’t just plump for the first person who pops into your brain. Like you think, “Why this story?” you should be thinking, “Why this character?” AS WELL. Patience. Everything takes forever. That’s just the way of it. So don’t rush it. Enjoy the journey! And don’t throw away great opportunities just because you want to get something done “by a certain date” – review your strategies and goals accordingly. Don’t rush. Persistence. But equally, don’t wait around. MAKE your own opportunities too. Follow up on your submissions. Make more contacts. Network furiously & build relationships. And oh yeah: write. Professionalism. And be professional at all times. Don’t blindly pitch “at” people; have conversations. Have a social media strategy and make sure you go to at least three or four real life tweet ups, meetings or events a year. Be generous. Be genuine, but don’t wear your heart on your sleeve so much people take advantage. Don’t get sucked into flame wars, allow yourself to be flattered by falsehoods and most of all: never, ever, burn your bridges. If you do, nothing may happen *right now* – but you’ll be surprised how small this pond is. It will come back to haunt you. I really believe the 6 things I’ve outlined here can help writers stay on track, get stuff written, produced or published AND help sustain their career. If you’ve got anymore to add or have any questions, leave them in the comments. The read is worth the sacrificed time. Thanks a zillion.